I was completing an install for a client this week and the Cognos 10 External Data Wizard was not launching and all the buttons where greyed out. If I logged on to the server as the same user, it worked correctly. I found the issue was down to settings within IIS!!! 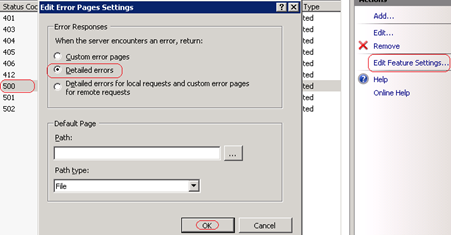 To fix the issue on Windows 2008 R2 with IIS 7.5, you have to edit the IIS Error Page. Once completed reload Report Studio and all should be well.